Pop star Davido gets the same reaction wherever he goes in Africa, whether it’s in Guinea or Mozambique, Botswana, Kenya or Sierra Leone: teeming crowds and adoring fans. The 24-year-old icon is one of the favourites for best artist at this year’s All Africa Music Awards (AFRIMA), which take place in Lagos this weekend. AFRIMA — sponsored by the African Union — are the continent’s equivalent of the American Grammy Awards, with interest reflecting the continent’s rich seam of emerging talent. 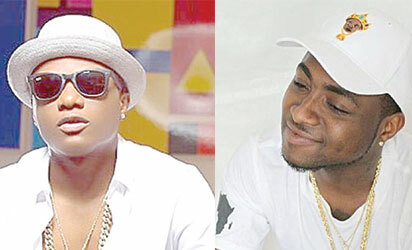 Davido and his Nigerian compatriot Wizkid, Tanzania’s Diamond Platnumz, Sarkodie of Ghana and Ivory Coast’s DJ Arafat are leading a musical revolution: Afrobeats. The genre was born in Nigeria but has spread across Africa as fast as the rhythm of the bass in a nightclub. “Nigerians knew how to mix all the influences of Afropop: Congolese soukous, Ivorian coupe-decale, Ghanaian Highlife, Jamaican dancehall,” said video journalist Hugo Claveau, who wrote and directed the documentary, “Afrobeats, From Nigeria to the World”. “They created a sound for all of Africa. They created the first pan-African music,” Claveau told AFP. Afrobeats (with an ‘s’) — a name given in homage to the Afrobeat (without an ‘s’) of the 1970s — was born about 10 years ago with pioneers such as 2Face, D’Banj and P-Square. The internet and satellite television channels did the rest. “Music channels like MTV or Channel O made a big impact on exporting Nigerian music,” said Efe Omorogbe, 2Face’s manager and the head of the Now Muzik Limited label. In its wake came the French channel TRACE, which in turn led to TRACE Naija (slang for Nigeria) two years ago, where Nigerian music accounts for about 60 percent of its output. TRACE Africa is one of the most popular channels in French-speaking Africa and about a third of its programming is exclusively Nigerian. Omorogbe said the channels “broke the boundaries. Now Africa makes one boundary, not 53”. The increase in festivals and events such as AFRIMA has equally allowed artists to meet, exchange ideas and collaborate. Wizkid, for example, sings on “My Soweto Baby” with the South African DJ Buckz. Ivory Coast’s DJ Arafat and Nigerian Iyanya use their song “Fever” to call on “Abidjan, Cote d’Ivoire, Nigeria” to dance together. The internet has again been a game-changer. Kenyan afro-pop star “Sauti Sol sent me a beat and I liked it, I thought it was cool,” said Kritzbeatz, a 22-year-old Nigerian music producer. African pop stars are fighting among themselves to work with Nigerians in hope of breaking into a huge market of nearly 190 million people, where pop music is ever-present. “Smaller markets naturally look towards Nigeria,” said Oris Aigbokhaevbolo, a journalist with the Music in Africa magazine. In Nigeria, music is business, where sponsors and patrons can invest hundreds of thousands of dollars to finance a concert. By signing Wizkid, Davido or D’Banj, record labels Sony and Universal are finally turning towards African pop music instead of the “world music” of Salif Keita or Youssou N’Dour to conquer the African market. The financial rewards are considerable. “There are all falling over themselves to sign contracts with Nigerian artists,” said Claveau. “But the guys developed their business by themselves. They conquered the continent and don’t need them to fill stadiums in Africa.